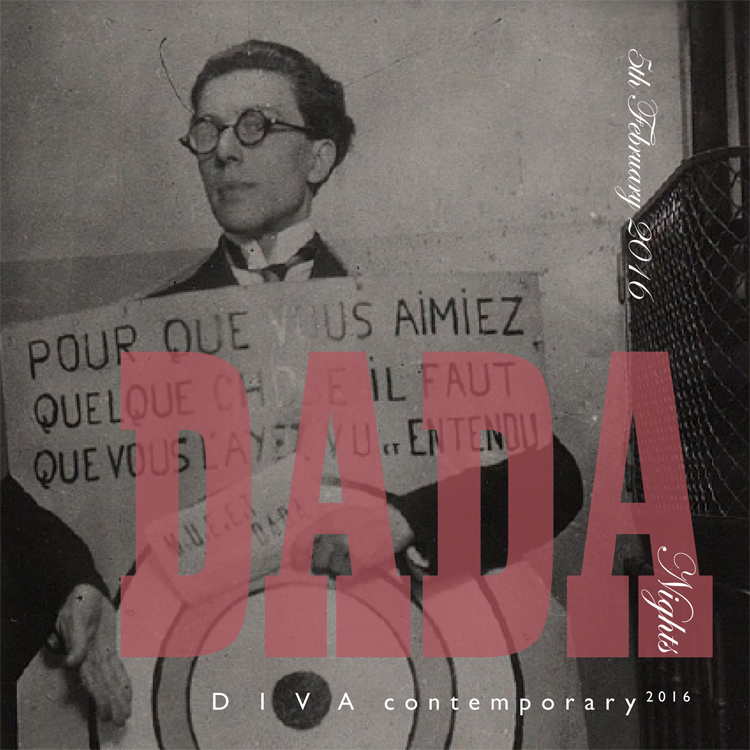 5th February 2016 marked 100 years since the DADA art movement first performed at the Cabaret Voltaire. This album documents DIVAcontemporary’s celebratory event, with ‘live’ performance, pre-recorded works and links to the internet. Link to download: 8 audio tracks, 2 internet links and bonus items including a 12 page .pdf booklet and video extracts from the evenings live performances. David Rogers and DIVAcontemporary would like to thank all the contributing artists for their work and time, and the internet for throwing up some Intriguing moments during the evening. This entry was posted in ambient, associate artist, audio, David Rogers, Eva Fahle-Clouts, ivon oates, Joe Stevens, links, Mandy Rathbone, music, Nigel Slight, open studio, Ralph Hoyte, video, visual. Bookmark the permalink.